Click here to download now from CDBaby. Limited hard copies are available £10 each plus P&P; email Taz at info@firechild-shamanism.co.uk to check stock and order your CD. 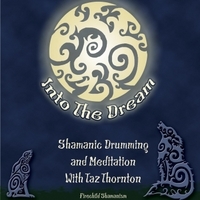 WANT TO BOOK ONTO OUR SHAMANIC COURSES AND WORKSHOPS? Click to our workshops and training page to browse forthcoming courses and book your places.